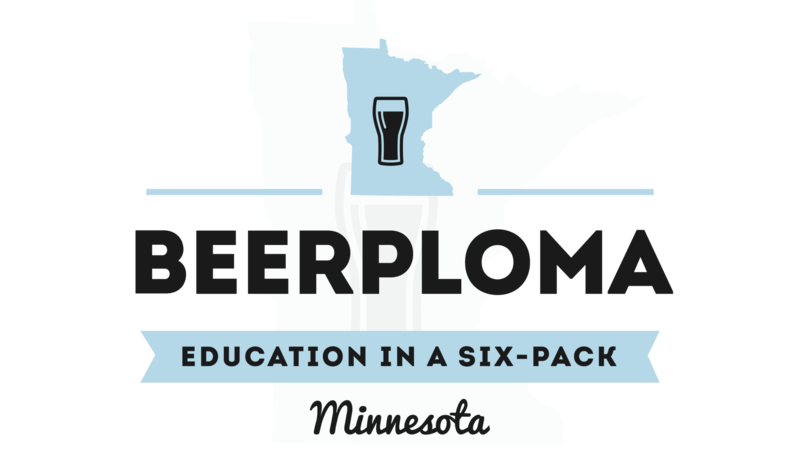 After the Homebrew Con, I am bracing for the final lap of the beercation race. There are still quite a few breweries that I need to visit, but I only have a few days left in this cornucopia of craft beer. I need to steel my liver, reload my Tums, and make sure I have located all the public bathrooms. 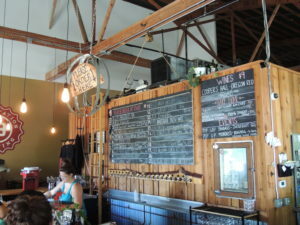 In my Part 10, I visited more epic breweries in Portland. Surely there cannot still be more breweries where the beer, people, and brewery spaces are all above average. Can there? 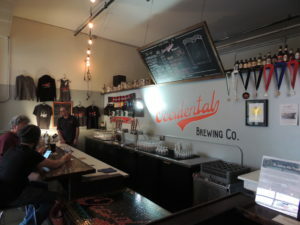 As my palate and appreciation for classic styles mature, I find myself seeking out places like Occidental Brewing Company. Occidental Brewing focuses on classic German styles and they have a wonderful location that is not far from St. John’s bridge, one of the more picturesque areas of Portland. The sun is on its way down and I have to snap my pictures fast. The taproom has a cozy and familiar feel. This is the brewery version of a broken in baseball glove. Across the parking lot up on a balcony, there is a brewpub serving food, but I am all about the liquids so I opt for the barstool seating for one. At Occidental Brewing you will not find bros drinking hazy beers out of bowls. Occidental does not chase trends and for that, we should all be grateful. 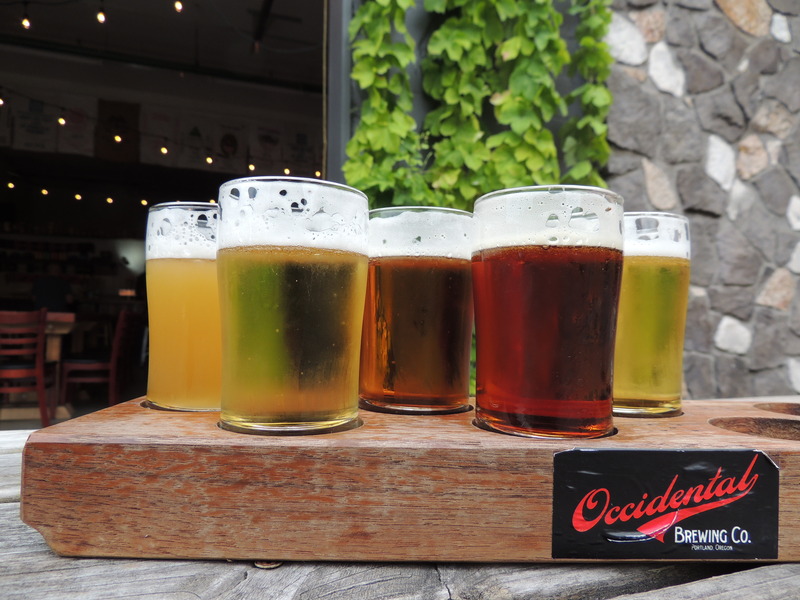 What you will find at Occidental are deftly brewed and clean beers that let the ingredients speak for themselves. The gentleman slinging beers is Dave, and he is knowledgeable and friendly. Dave sets me up with some stickers, and a flight and is quick to answer any questions I have. The Hefe has a lemon citrus and bubblegum note, which I love. This beer is refreshing and is a stunning example of why Hefeweizens are wonderful beers for summer. The Kölsch is as classic as it gets. A touch of honey sweetness is balanced out by a crisp finish. The Altbier showcases flavors of toasted bread and dark caramel. A malty success, for sure, this beer illustrates why a brewery can have lots of success keeping it simple. The Pilsner has a refreshing crispness and a floral hop presence to it which is inviting and makes me want to continue sipping. The Dunkel has great malty notes of toffee and caramel that all make it a rich tasting experience. All in all, I give Occidental high marks all around. The beers are flawless and Dave is friendly and someone I wish could be cloned so I could visit him at breweries in MN. 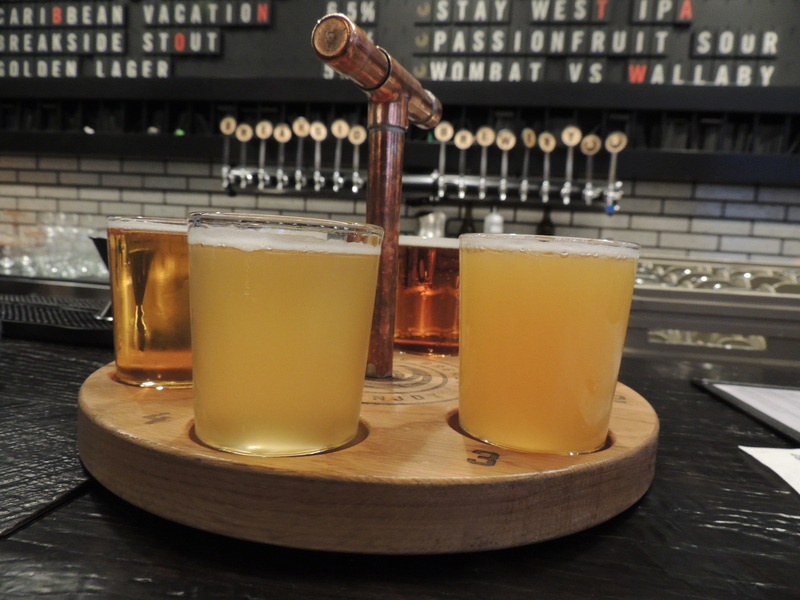 I am a firm believer that you can have the best beer in the world, but if the service doesn’t make you comfortable, you will move on to the next place quickly. 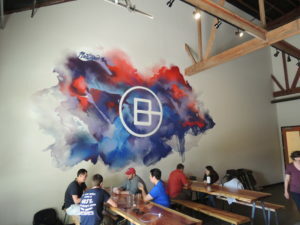 When I get back to Portland down the road, I will be returning here for more great beer and conversation. 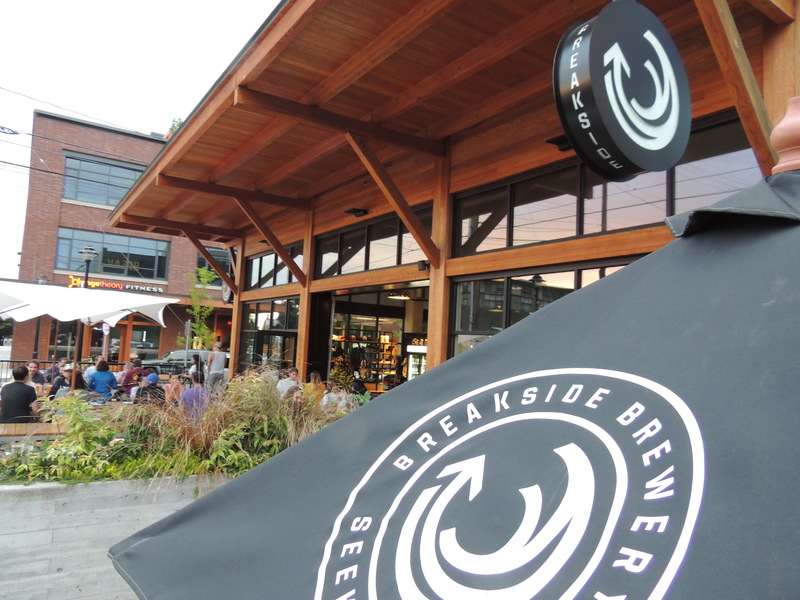 My fellow Beerploma writer, Eric built Breakside Brewing up with his effusive praise for their beer and food. I am always willing to take the advice of a beer expert, so I made sure to add Breakside Brewing to my beercation list. I arrive just as the sun is setting and grab a seat at the bar. Their beer list is extensive and thankfully, they have preset flights because I am not ready to do too much thinking. There are a lot of different foods to choose from, but it has been a minute since I had a burger, so that is what I go for. After looking at the beers in the flight, I think the burger will pair well with my selections. 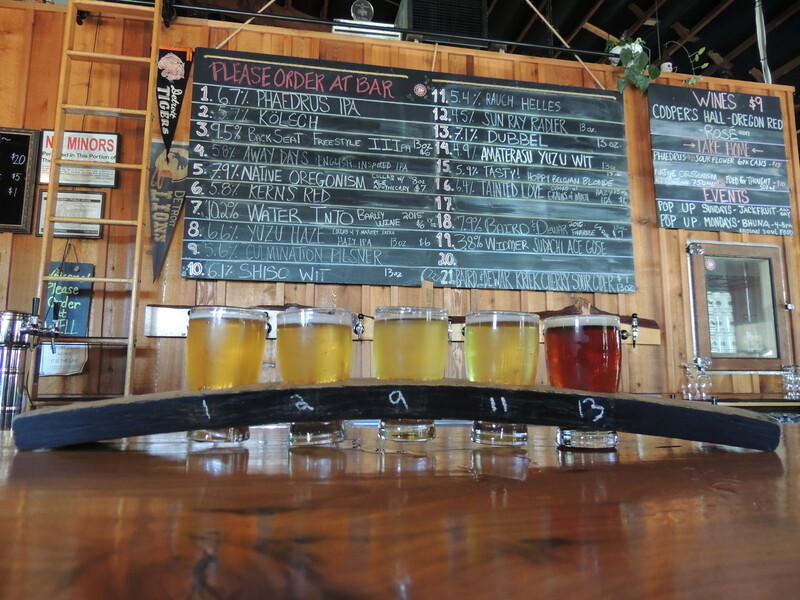 Of the six beers in the flight, my favorites are the Dortmunder, the Cuddle Puddle, and the Riverside IPA. I am not a fan of Hive Mind due to it tasting like honey and not much else, leaving it out of balance and far too sweet. The Dortmunder has a great bready malt flavor and aroma. It drinks crisp and clean with just a hint of lemon in the nose for brightness. The Cuddle Puddle is an NW Pale Ale, bursting with flavors of tropical pineapple and mango. It finishes with a pleasing bitterness that makes it a wonderful beer. The Riverside IPA is my favorite, by far. A true West Coast flavor with a ton of resiny and piney hop aromas and flavors. More along what I have come to refer to as an old-school IPA, this is a hophead’s dream in a glass. As I am tasting my way through my flight, the burger is delicious and the perfect accompaniment to the beers. I start chatting to the younger couple to my right. They are on vacation from the East Coast and are getting married soon. They are asking the bartender what fun things there are to do in Portland that are a bit more on the exciting side of coffee and beer. The bartender asks them if they enjoy adult entertainment and performance art. Unbeknownst to me, Portland has the most strip clubs per capita in the U.S., according to the staff at Breakside. In some cases, they share the same city block. One club, Casa Diablo, seems to have a bit of a cult following as well as an all-vegan menu for food and drinks. The younger couple seems intrigued by this, but also a bit scared. As we are chatting about beer, the gal asks if I would be interested in accompanying them to the Casa Diablo. Well, in my younger, more adventurous days, this would have appealed to me. However, the day’s worth of beer and travel has made me weary. Instead of the pulsing bass of a radio remix assaulting my ears and tassels helicoptering in my face, I decline their invitation in favor of a good night’s sleep and a donut. The couple pays their bill and ventures off into the night with a giddy enthusiasm. Young love is a sight to behold and can be contagious, but when you are 39 years old and on a beercation, there is nothing more titillating than a beer podcast and a good night’s sleep. Beercations are about good choices, after all. The decision to avoid the Case Diablo in favor of a proper 40 winks is paying dividends as I prepare for another big day of beer tasting. My first stop is Culmination Brewing Company. A perfect starting point for the day’s shenanigans as it is not far from where I am staying. The aesthetics of this place are the perfect way to make the transition from coffee to beer. There are lots of people, yet it is not a cacophonous atmosphere and I can still hear myself think. 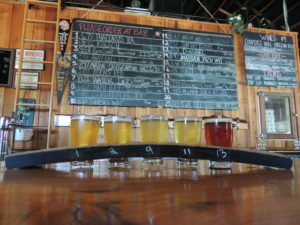 I look at beer options and order up a flight of five. At this point, I am just waiting for that switch from great Portland breweries to average Portland breweries. Luckily for me, Culmination Brewing is still in the great category. The Phaedrus IPA is a hoppy delight with mango and navel orange in the nose. There is a grassy and herbal note to the aroma as well which makes it a thought-provoking beer. The Kölsch is a nice combo of Golden Graham cereal malt and citrusy hop notes. It drinks clean and refreshing. The Culmination Pilsner is of the Czech variety and has the requisite sweetness from the honey in the malt. There is a nice lemony aroma in the start and it finishes crisp with just a hint of bite. The Rauch Helles is not as smoky, but more along the lines of a cured meat that comes off as leathery. It is extremely delicious and finishes with a caramel note. The Dubbel has some wonderful raisin and plum notes in it and finishes dry, which is the hallmark of this style done right. The beers are fantastic here and the slight buzz of conversation all help me reflect on where I have been and what I have yet to do. I am left with only a handful of days to soak in the wonderment of this fantastic beer city. I continue to be amazed at how high the quality of the beer is in this town. So far, this beercation has been full of sensational beer and I cannot wait to see what Part 12 will bring. Prost! 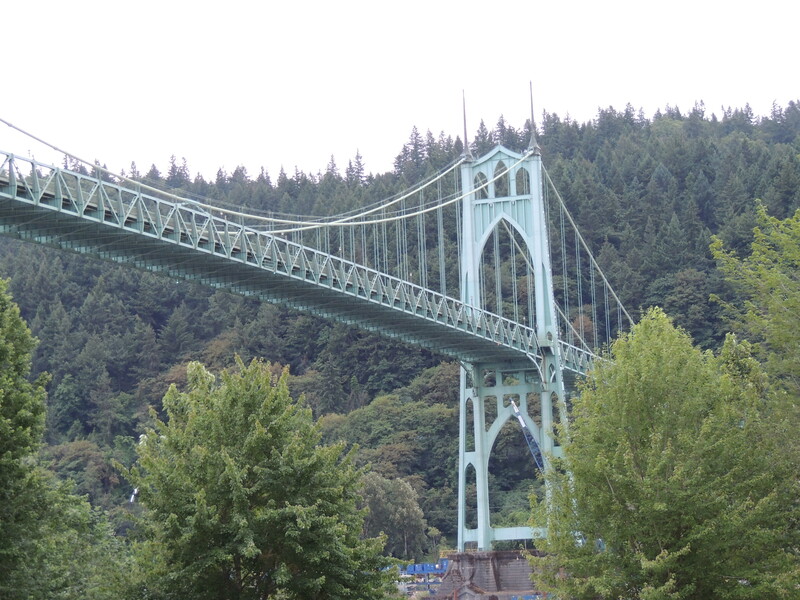 Want to hear a detailed account of my Oregon Beercation to Beervana? Check out the podcast link below. 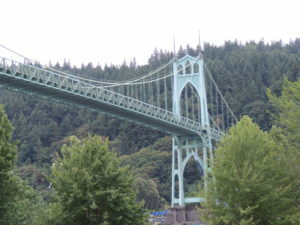 Eric and I break down our travels and attempt to see where Oregon fits into our other beercation venues. 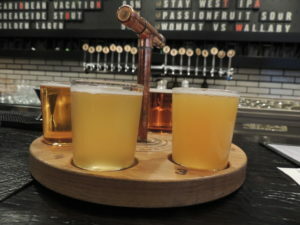 Listen to “A One Pint Stand Episode 27- Portland Beercation” on Spreaker.